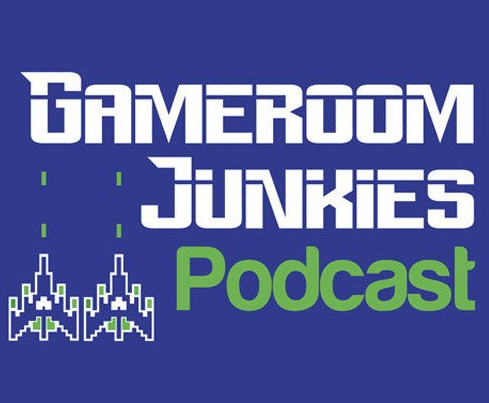 Patrick et Preston parlent des cartes PinSound dans leur dernier Gameroom Junkies #53 podcast. Patrick: In the meantime, we’ve had a couple weeks since our last episode. Have you done anything exciting in your game room. Preston: I’m here with a product to review. I have ordered a PinSound board for my Data East Star Wars pinball machine. Are you familiar with this product. Patrick: I am, because people were raving about it at our southern gaming expo. Preston: They have a Star Wars there with a pinsound board in it. That wasn’t the first time I’d seen one. I hadn’t seen one in person, but I’d been reading about them on Pinside and what have you. There are some Youtube videos, so I’ve been keeping an eye on this thing. For those of you who don’t know what it is, it’s a replacement sound board for different types of pinball machines. There’s a selection of games from different manufacturers that this board will fit into, that replaces an existing sound board. 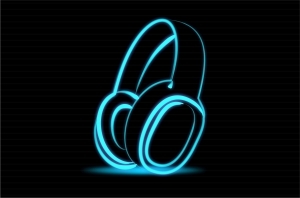 It allows you to load different sound tracks onto your game. If you’re unsatisfied with the sounds, and the call outs, and the music that are in your game, you can use a tool that they provide to create your own soundtrack for your game. Or you can download one that the community has made, and utilize one of those. Patrick: Let’s pretend I don’t know what you’re talking about. I’ve listened to this show before, and I say hey, weren’t you guys talking about pinball browser at one time. You can swap out different sounds with that. What makes this different than pinball browser. Preston: You may know better than I do, that pinball browser has a lot of limitations as far as what you can change. Pinball browser is only for, maybe, Stern machines. I’m not sure. All I know is the Star Wars Data East game, its soundtrack is OK. But It’s disco Star Wars theme. I wanna hear the real thing, so I ordered this thing from France. It’s not cheap, but it came very easy to install. Plug and play. Patrick: This is from France. I had no idea. Preston: Yep. It comes with a USB drive. Take the usb drive, stick it in your computer, go the the community website, pinsound community, find the game you’re interested in, and choose what soundtrack you want that people have put there. I put a couple online. It’s a zip file, download that to your usb thumb drive, stick that in the board on the game. There’s a slot for it. Turn on the game, and it goes through and unpacks the zip file, and all the sounds. Once that’s done, you get a whole new sound package for your game. Preston: The one I’m using, now. Instead of disco-electronica midi sounds for Star Wars. This is the original John Williams orchestral score on it. When you launch that ball, it starts in, and sounds amazing. Whoever did this did a nice job on it. It completely changes the game. In attract mode, all the sounds are different. Track mode has the orchestral score. At one part, it has the 20th Century Fox opening sound. Patrick: It’s a great example of how you don’t recognize the importance that an audio package plays until you have this drastic comparison. Like, there’s this, that’s fine. Versus this, whoa. It’s a cool reminder. Preston: It’s amazing, and it has a headphone jack on it. A line out, an equalizer. Patrick: Where do you put it. Preston: What, the headphone jack? Preston: You have a couple of options. You can use the line out and run it to stereo if you want. Home theater, or any system that has line in. If you want a headphone jack, you can run a headphone extension. They sell a cable and jack to mount to mount to the bottom front of your machine. You can plug into that extension. It comes with an equalizer section on the board. You can adjust bass and treble of the cabinet speakers and the back box speakers separately. You can also adjust the volume of the cabinet and back box speakers. You can really fine tune your sound on this. I have upgraded speakers in that Star Wars, so it sounds fantastic. But from what I’ve read, even if you’re using the stock speakers, it’s a major upgrade in sound quality. I’m really excited about it. The neat thing is, I have a Star Trek The Next Generation. I can take this board out. Patrick: Move it to that, get new sounds. Preston: Move it to that, get new sounds from the web, put ’em on the USB drive, stick ’em in there. Patrick: Have movie-quality Star Trek Next Gen.
Preston: Try those out. I haven’t done this yet, but you can switch between multiple soundtracks. The way you switch between them is by turning the volume all the way down to zero, and it switches to another sound package. Preston: It’s that easy. They’re not a sponsor, this is not a paid endorsement. I’m just telling my experience with it. It was really positive. If you think about these things are expensive, but Color DMD‘s are a major upgrade in the visual part of pinball on the display. It looks great, really adds to the game. This is the same concept, but for the audio. Patrick: Right. It’s an investment, but if that game’s a keeper for you, and important. Preston: You don’t have to worry about that, it doesn’t have to be a keeper. If I decide to get rid of it, I can pull it out and put the original board back in, and move it to one of my other machines. Preston: It’ll fit Star Trek Next Generation, and Congo. Out of my collection. It won’t work in my Starship Troopers, or the Gottleib Genesis that I have. I don’t have to worry about it being a keep, I can move it around. It’s versatile. Patrick: That’s awesome. Do you know the url off the top of your head, or do you want to put it in the show notes. Patrick: Cool. We’ll definitely check that out.